Hello I’m Sarah, mum to two beautiful children, wife to a welsh man (we won't hold that against him though) and lover of dogs, especially King Charles Cavaliers Spaniels. And creator of The Positively Blooming Formula. My specialist birth anxiety course will help you birth your baby with a calmness and confidence that you wouldn't believe is possible. I'm from Essex and had my first baby in Southend hospital. It was an induction, with pretty much every intervention under the sun. When we fell pregnant with our second baby, a short 9 months later, I just knew I didn't want to go through 'that' again. 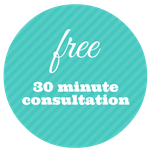 It was my husband Richard who first suggested using hypnotherapy for childbirth. As a newly trained hypnotherapist he was all for it, I was the sceptic! It was after much discussion, going something along the lines of, me "Are you mad? You're not coming near me with that mumbo jumbo nonsense" and him "What do you have to loose?" So after a lot of thought on my part and no decent response to his question, we invested our time, effort and money in discovering another way (don't you just hate it when they're right)! I used hypnosis and birthed my daughter in 2008, again in Southend Hospital but this time without any intervention (she popped out and we was back home a few hours later). Since then, I have trained in Cognitive Behavioural Therapy (CBT), as a hypnotherapist and psychotherapist, along with this an antenatal educator and completed a degree in child development. Utilising all these skills I created The Birth Anxiety Breakthrough Formula a course that eliminates your anxiety for good in pregnancy, in preparation for birth and so that you can bring out your Mum Super Powers and be the best Mum you can be. You'll find, in and around this site, a collection of courses, workshops and MP3's that focus on your needs throughout your parenting journey. We have adapted the core principles of hypnobirthing and use tonnes of applied psychology to help you eliminate your anxiety and those pesky anxiety related symptoms you have so you can enjoy your pregnancy, birth and journey into motherhood. I have over a decade of therapicual skills and an abundance of experience and knowledge in the field of hypnotherapy, psychotherapy, birth and anxiety. Our Birth Anxiety Busting courses are packed full of activities, audios, transcripts and videos to help you gain a fresh perspective on pregnancy, birth and motherhood. After years of working with parents on a 1-2-1 basis in London and Essex and more recently in Lincolnshire (yes we relocated, I'm guilty of watching too many episodes of escape to the county, my latest favourite is escape to the Winter Sun - watch this space! ). I decided to put all my experience together and produce an online courses, gotta move with the times right? We still work in the South East on a regular basis at our Leigh-on-Sea practice. The courses we offer range from short and sweet giving you a tools and techniques for an easy birth to our signature Birth Anxiety busting course, Birth Preparation for Overly Anxious Minds, which is based on years of experience and backed up with research. Whichever course you choose for your needs, you will get all the information and support for a positive birth experience. Our courses make its easy for you to perfect your practice in the comfort of your own home. All course have fully comprehensive materials and support from our community. Our courses make it easy for you to fitting in your birth preparation with your family and work commitments. Our aim is to make it as easy as possible for you to have that calm, confident birth experience you long for. And just for good measure if you wobble, I will catch you, either in-person (location dependant) or over Skype witch is handy for our overseas clients (we currently have clients in 6 different counties and we are continually expanding our reach). It's good to know isn't it that you can safely take those sh!t tinted childbirth spectacles off now. Together, we will take some baby steps so you can pop on a pair of rosey, pink, lenses and really look forward to meeting your baby. 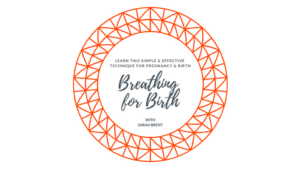 P.S Remember to sign up for your Free Mini eCourse Breathing for Birth An easy and effective technique to keep you calm and focused in labour. 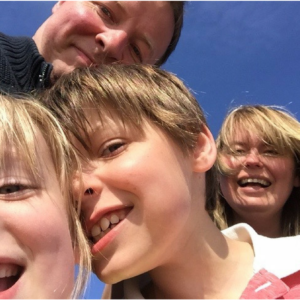 The Third Person Professional Bio Bit - Sarah is a qualified professional hypnotherapist and psychotherapist specialising in helping her clients overcome anxiety related disorders. Over the last ten years Sarah has helped hundreds of clients reclaim control back of their lives. Being passionate about women’s’ and children’s emotional support, Sarah has embarked on a continued course of professional development as outlined below. Sarah’s has therapy practices based in Essex, London and the historic city of Lincoln and lives between Essex and Lincolnshire with her husband and two children. Drop me a line and say hello, I'd love to here from you. Either way I look forward to chatting with you and supporting you through your pregnancy & motherhood journey. Hypnobirthing home birth baby Samuel arrived 11 days early on the 23rd March. It all kicked off around 5am and Samuel arrived 12.37am. The attending midwife was amazed how calm & controlled I was. No pain relief either! Not that I felt 'pain'...more discomfort & strong sensations. I had the birthing track on repeat all the time. Would I do anything differently? Yes. I'd listen more regularly to the relaxation tracks (should have done it every day). Practice with my partner trigger words or phrases. Listen to my body more... When the stinging sensation started I should have listened to my body and slowed down. Would I have had the amazing experience if I hadn't used hypnobirthing....Not a chance. The hypnobirthing made all the difference to my capability and confidence. Highly recommend Sarah's course to anyone. Rachael, Stephen and baby Samuel.